Even with all the barriers to get to the U.S., it’s still the place where the smartest, most innovative and driven people want to be. Entrepreneurs from all over the world move here to work together. That, to me, suggests a bright future. Growing up in Brazil, I always had a passion for coding. When I was about 12 years old I was a huge fan of a Korean video game called Ragnarok, but my parents didn’t want to pay for the premium version, so I had to start programming a new version myself. I made my own servers so my family didn’t have to pay for the original version — I even ended up figuring out how to monetize it! Meanwhile, my Co-Founder Pedro started tinkering around with software and coding when he was just nine. While we were both living in Brazil as teenagers, Pedro and I met on Twitter while arguing back and forth about whether Emacs or vim is the better editor — Emacs won, of course. We stayed in touch and found a shared interest in tech and programming, not to mention a mutual frustration with collecting the payments from our several ventures together. So when we were 16 years old, Pedro and I started Pagar.me, which quickly became known as the Stripe of Brazil. Pedro and I loved working together at Pagar.me — it was our first big test and the beginning of a partnership that’s spanned two continents and the majority of our lives. In 2016, we sold Pagar.me to ponder our next big bet. It’s hard to work in the tech industry and not be inspired by what other entrepreneurs are doing in Silicon Valley, so we decided that’s where we’d go next. Stanford seemed like a great way to get a foot in the door, so we enrolled, moved to the states, and after meeting the right people, left school to move onto our next venture — Brex, which we launched with $57M in funding last month. We initially moved here to attend Stanford, but our goal was for our stay to be long term. We were able to get a Visa quickly and easily because there was a lot of press and recognition for our past startup, and the rest is history. Unfortunately, the experience has not been nearly as seamless for many of our friends or for the employees we’ve hired at Brex. Of course, living here is drastically different than living in Brazil. One interesting thing that I think Americans may take for granted, particularly young ones that have grown up with it, is Amazon — Pedro and I were in complete shock that you can order essentially anything you want and have it delivered so quickly directly to your door. I’ve been lucky to have many mentors in my life who’ve helped me get to where I am today. One person in particular who’s been there for me since the beginning is Jorge Paulo Lemann — an investor who I know from Brazil. He invested in both Pagar.me and Brex and even helped me financially with my tuition at Stanford which I’m forever grateful for. Jorge is someone I’ve looked up to and learned from for many years now. I credit my management philosophy and leadership skills to him and look forward to learning more from him in the years to come. Great! 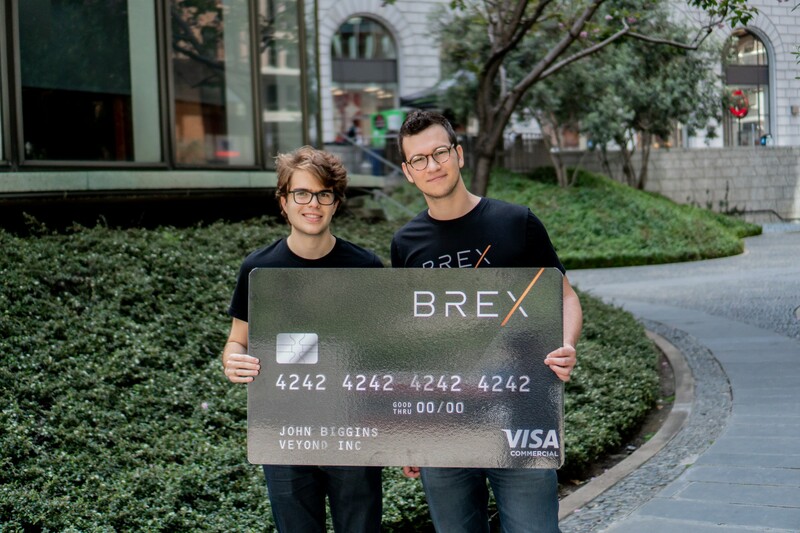 Last month, we officially launched our second venture Brex — the first credit card for startups — in June and raised our Series B round of funding, which brings us to $57M total. We have some incredible leaders and mentors in the fintech space onboard from PayPal founders Peter Thiel and Max Levchin to Facebook and Airbnb investor Yuri Milner and former Visa CEO Carl Pascarella. 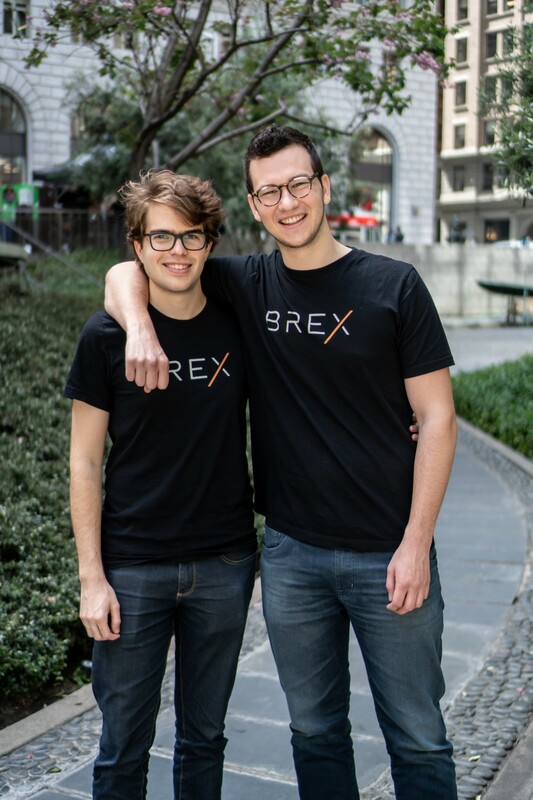 We’ve spent the past year working with our customers to perfect the Brex experience so our users can overcome financial hurdles that prevent startups from getting a credit card. To date, we have over 1,000 customers and are constantly working to improve our product and adapt our services and offerings to fit the needs of the startups we work with. Something Pedro and I realized early on in our careers was the difficulty founders and startups had obtaining a credit card, regardless of how much money they had in the bank. Coming from Brazil, neither of us had a personal credit history in the U.S. and were declined credit from every bank we tried. We knew other immigrants dealing with the same issue. This was why we created Brex — to help other startup founders like us find success in the U.S. and actually get access to their hard earned cash. Too often we’ve seen founders work hard to build their startups and run into this major roadblock. We aim to help these entrepreneurs fulfill their dreams and see the hard work they’ve put into building a company come to fruition. The U.S. immigration system is constantly changing — some people go through strenuous, difficult processes and others, fortunately, do not. There are a few things I would change about the system overall to ease and standardize the process for people going through it. I would automatically give work Visas to students who graduate in fields with worker shortages like STEM and healthcare. I would make the Visa process more transparent for those who are applying with simple online forms and clear eligibility requirements. I know far too many people who use expensive lawyers to manage the process because it’s difficult and confusing. I would find different ways of evaluating Visa candidates’ skills besides someone’s educational background. For example, professional factors like prior work experience and personal factors like the quality of someone’s character matter just as much — if not more — but are never considered. The latter may be hard to measure, but personal references or even social network data could be used. Courage: I spent my entire childhood — the majority of my life — in Brazil. I knew leaving my family, friends and everything I knew to come to the U.S. wasn’t going to be easy, but it was necessary to follow my dreams. I spent basically my whole childhood dreaming, tinkering with code and learning everything I could to get to where I am today. It wasn’t easy to leave, but it was what I had to do to continue growing my career. The types of risks that take the most courage can also be the most rewarding. Building A Network: We came to the states with the goal of making it big in Silicon Valley. To do so, we had to meet the right people, so we went to the heart of the Valley for young talent — Stanford. After eight months of taking every chance we could to make strong connections, we were ready to take the next step. It was the relationships we forged in those eight months that allowed us to join Y Combinator and raise our initial seed round. This got Brex off the ground. Your network is vital to your success. Flexibility: When Pedro and I originally joined Y Combinator, we assumed the payment system problems Pagar.me was solving in Brazil were already solved in the U.S., so we entered the accelerator with an idea to build a VR-business. However, when we saw no one in YC could get a corporate card, we quickly realized that the payments industry here needed to be shaken up too. We pivoted and started Brex. Nothing ever goes exactly as you envision it; staying flexible can help you adapt when these surprises arise. Don’t Be Afraid To Ask For Help: As hard as I’ve worked and as much as I know what I’m doing, I can’t say I’ve never asked for help. I’m very lucky to have mentors and investors who believe in me and make themselves available for me when I need them most. Growth means doing things you’ve never done before, and to do that well, you need to know when to ask for help. Being Mission-Driven: Pedro and I are committed to helping solve the problems that many startups face today. We’ve dealt with the difficulties of getting access to financial products firsthand and strive to eliminate this worry for other entrepreneurs and help them find success. Our drive to solve entrepreneurs’ problems is exactly what we hope will inevitably help others to do the same. Everyone can agree that America today is divided. People are constantly in debate about what’s best for this country, but it is precisely this debate that is unique and special to the U.S. and keeps things in check to stabilize the future and point the country in the right direction. The stability and global acceptance of currency here means investing time and money in this country is safe and reliable, ultimately encouraging future activity and entrepreneurship. This wasn’t exactly the same in Brazil, it was a major problem we had to consistently deal with. One person I’ve always wanted to meet is Warren Buffet. American Express is a company I’ve always admired — their philosophy, innovation, their influence in the payments industry, etc. — and Berkshire Hathaway is the largest shareholder in American Express. Warren Buffet is also a leader I hope to resemble. He’s an active philanthropist and an outspoken supporter of immigration which means a lot to me personally.